Event sponsored by Sony Electronics Inc. celebrates self-expression and creativity. Photo Blue Flower, Makaley G.
SAN DIEGO, CA, August 20, 2018 – Boys & Girls Clubs of America, in partnership with Sony Electronics, announced today the national winners of Boys & Girls Clubs of America ImageMakers National Photography competition during a celebration event at Sony’s headquarters in San Diego. Boys & Girls Club of the Eastern Panhandle earned the top honor of Best in Show with a portrait titled “Zamira”. The ImageMakers National Photography Program and Contest enables Club youth to engage in visual storytelling and develop skills to take impactful photographs. This year-round program encourages Club members to learn and practice black-and-white, color, digital and alternative process photography. With a rich, 50-year history, the Photography Contest is one of the member competitions from Boys & Girls Clubs of America’s arts initiative, which invites youth ages 6 to 18 to capture photographs and express their creativity in five categories: culture & tradition, portraits, fashion, surroundings and photo with essay or poem. Studies have shown that participation in the arts is linked to higher academic performance, increased standardized test scores, and lower dropout rates. Thanks to program sponsors like Sony Electronics, Boys & Girls Clubs are offering quality, affordable arts programming during out-of-school time. ImageMakers provides innovative and high-quality arts programming that stimulates learning and academic success; inspires creativity; explores future careers; and encourages self-expression, critical thinking and problem solving. As a global leader in image sensors, the heart of photographic technology used in cameras and mobile phones around the world, Sony’s national support of ImageMakers enables Club youth to learn the art and science of photography and provides access to the latest digital imaging equipment from Sony. Arts programming helps build design thinking and in turn supports youth’s STEM interest, which supports Sony and Boys & Girls Clubs of America’s commitment to expanding youth exposure to future technology and possible career opportunities in science, technology, engineering and math (STEM) fields. All ImageMakers winners will receive a Sony Camera package that includes a Sony camera and case. To learn more about the ImageMakers National Photography program, and to view artwork from this year’s winners, visit bgca.org/imagemakers. 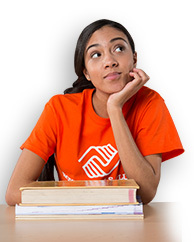 For more than 150 years, Boys & Girls Clubs of America (BGCA.org) has enabled young people most in need to achieve great futures as productive, caring, responsible citizens. 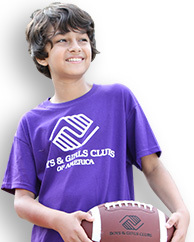 Today, more than 4,300 Clubs serve nearly 4 million young people through Club membership and community outreach. Clubs are located in cities, towns, public housing and on Native lands throughout the country, and serve military families in BGCA-affiliated Youth Centers on U.S. military installations worldwide. They provide a safe place, caring adult mentors, fun and friendship, and high-impact youth development programs on a daily basis during critical non-school hours. 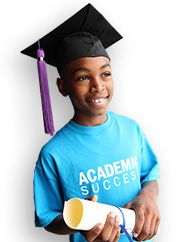 Club programs promote academic success, good character and citizenship, and healthy lifestyles. In a Harris Survey of alumni, 54 percent said the Club saved their lives. National headquarters are located in Atlanta. Learn more at on Facebook and Twitter. Sony Electronics is a subsidiary of Sony Corporation of America and an affiliate of Sony Corporation (Japan), one of the most comprehensive entertainment companies in the world, with a portfolio that encompasses electronics, music, motion pictures, mobile, gaming and financial services. Headquartered in San Diego, California, Sony Electronics is a leader in electronics for the consumer and professional markets. Operations include research and development, engineering, sales, marketing, distribution and customer service. Sony Electronics creates products that innovate and inspire generations, such as the award-winning Alpha Interchangeable Lens Cameras and revolutionary high-resolution audio products. Sony is also a leading manufacturer of end-to-end solutions from 4K professional broadcast and A/V equipment to industry leading 4K Ultra HD TVs. Visit http://www.sony.com/news for more information.